An interesting book is one that you can’t let off your hand once you start reading. All of Sri M’s books (Referred to as Sir later in the blog) fall in this category. 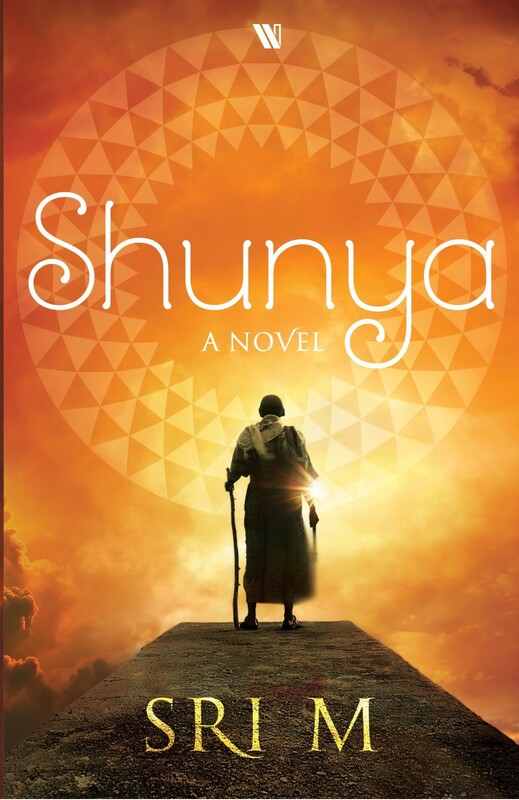 That includes “Shunya” – his latest book. This is his first novel – but it reads like a real life story. A fascinating story set in the suburbs of ” Tiru – Anantha – Puram” (Trivandrum), Kerala. its the story of an “Avadhuta” called Shunya – A sage free of all social norms who a common man may describe as eccentric or a Schizophrenic. There are many commentaries on the Upanishads that talk of how you can achieve the ultimate truth by making yourself empty. Being empty is cleaning yourself of all the impurities that you accumulate in this life , it gets you to the core where divinity exists in its purest form. And in this purest form you are merged with the ultimate. The Universe in all its bounty is trying to give you ultimate joy and happiness – but our cup is so full that there is no place. This concept may be difficult to understand through commentaries and talks , but it is explained beautifully in this book. The lead character Shunya – who the locals call Shunya Saami keeps repeating that he is “Nothing” – but he is “Everything” – he knows all, reads the mind of people, helps them identify their deepest desires and his grace brings happiness and prosperity to all he touches. he breaks all the rules – lives in a tavern , eats fish and berates people. And he has his share of opponents – organised religion , the priests and the quacks – see him as a threat, but all their acts to get the better of him are in vain – for who can crush the Ultimate Truth. In one of his encounters Shunya advises a monk running a monastery to run away from establishments – to empty yourself of his ego. I found this narrative an interesting takeaway. ‘Fool, said Shunya – “I” Must Go’. His guidance helps the monk to ascend the last few steps to attain the ultimate truth. As a child I have heard from my father about the “Yakshas” of Kerala – the hideous demons who are disguised as charming damsels, of the “Kutti Chatans” and the Tantriks who control them – Sir touches upon all of them in Shunya. Everyone will love reading this – but a Keralite would connect exceedingly well with the local lore. The story is so well written that it actually feels like a real life narration of an Avadhuta who lived in Kerala. Sir has had such fascinating experiences in life and I have a strong feeling that this is more than a novel – there is a wealth of meaning and learnings hidden in every passage of this book. A few more interesting takeaways. The one lesson that Shunya reiterates is the need for a guru to help you in your path. There are correlation with Sir’s first book ” Apprenticed to a Himalayan master – A Yogi’s autobiography”. The young American girl Sri M meets in Rishikesh with stomach cancer – Jenny comes in the form of Diana in Shunya. The good news is that Diana recovers from her cancer by the grace of Shunya and gets happily married and works as a teacher in Pine Grove School at Sheffield, UK. That reminds us of PGS at Madanapalli. The last chapter also talks of a young girl the daughter of Bhavani & Sadasivan ( Couple who host Shunya Saami in their house) who was born thanks to the blessing of Shunya Saami – who left home as a teenager and roamed around like a free bird with her band of mongrels – that sounded very much like “Mai Mai” the divine lady who blessed Sir when he was a young boy. Overall a fascinating read – get your copy at the earliest and do share the word around. Very appropriate review as I fully endorse it. Much of what I read resembled the experiences or events that occurred with Sai Baba of Shirdi.